Believe it or not, this was my first trip to the Grand Canyon, and it didn’t fail to impress. 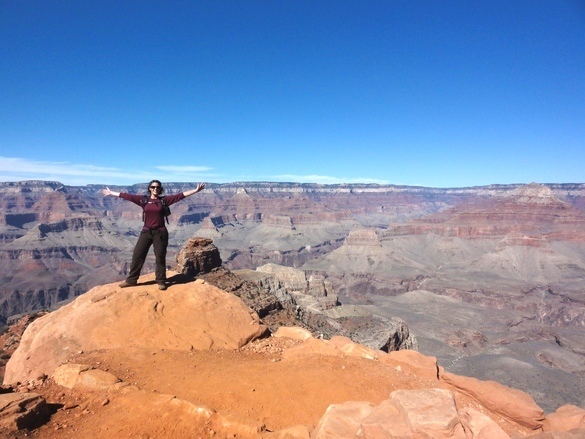 It was a perfect day to hike the South Kaibab trail. 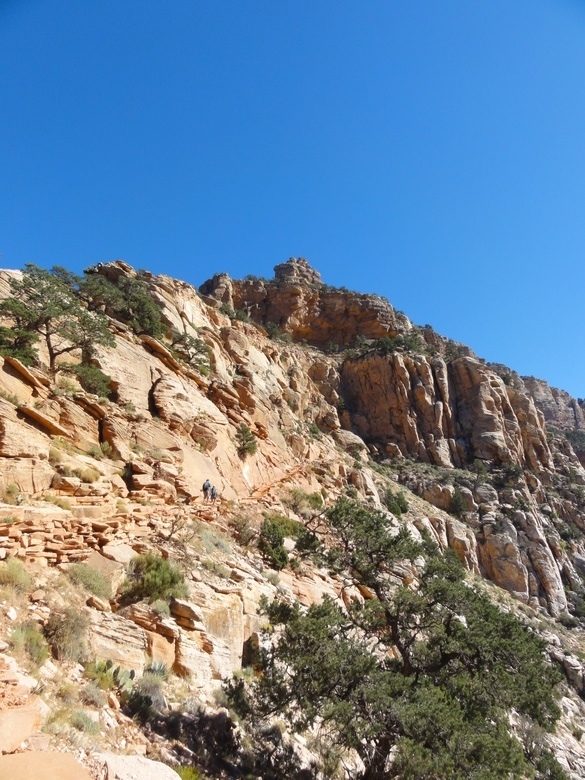 The trail begins with steep switchbacks through the ~270 million year old Kaibab Limestone and Toroweap Formation. It then winds past the fantastically cross-bedded Coconino Sandstone to a place called “Ooh Ahh Point”. The view certainly inspired oohs and aahs. That’s O’Neill Butte in the center foreground. Within an hour, we were eating lunch on the ~280 million year old Hermit Shale overlooking O’Neill Butte. 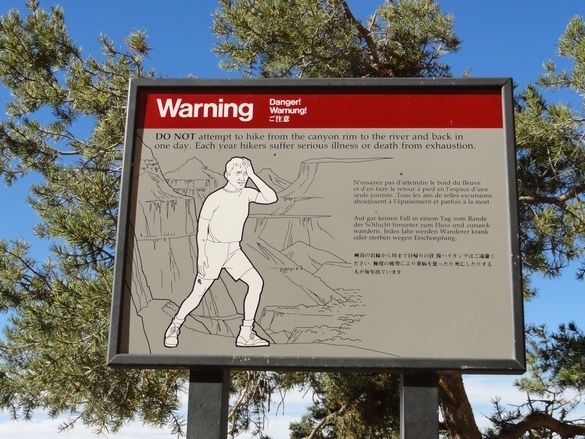 Despite the ominous signs, we made it out of the canyon in time to hike some of the rim and visit other viewpoints. We arrived at the Desert View Watchtower just in time to witness a fabulous sunset. 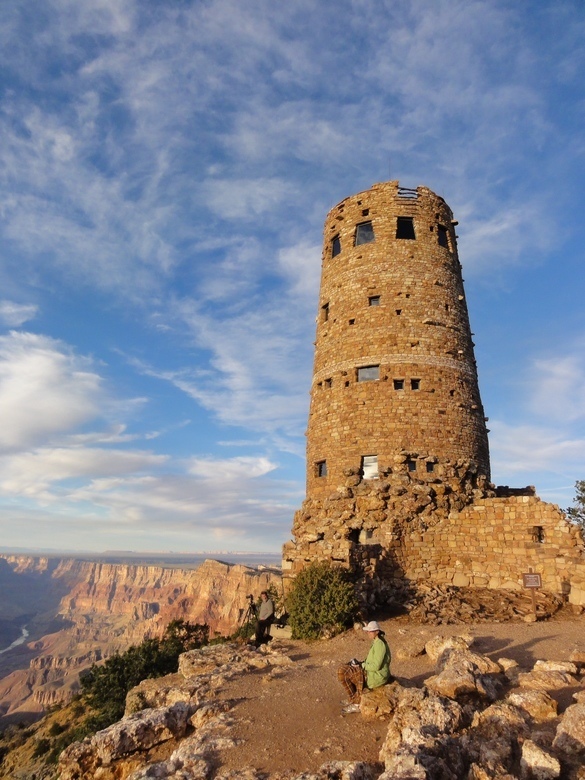 The Watchtower was designed by architect Mary Colter in the 1930s, who was meticulous about incorporating the Hopi culture and even hand selected the stone blocks for their shape and color. Overall, it was a fantastic ending to a memorable first-time visit. Dr. Pollock appears to have become a bit of a sedimentologist! I’m waiting now for some fossil photos. Breathtaking views. Are these posts created on your iPad? They look great. PS may I use the cross beds image in my lectures? 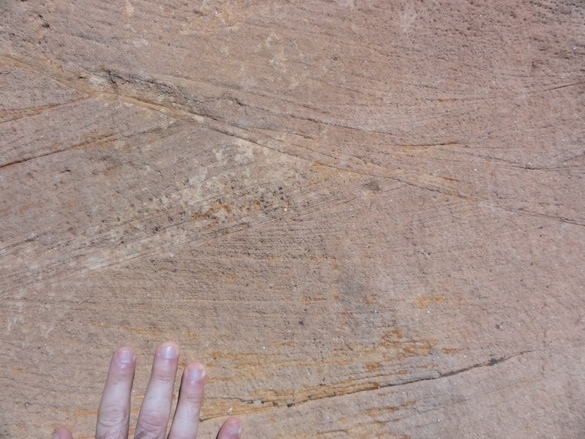 Also Dr. Wilson, sadly (for you softrockers) fossils are one of the few types of cool geology underrepresented in AZ. That, and active coastlines and glaciation. Welcome to AZ. loved reading the geological descriptions of our beloved trails. 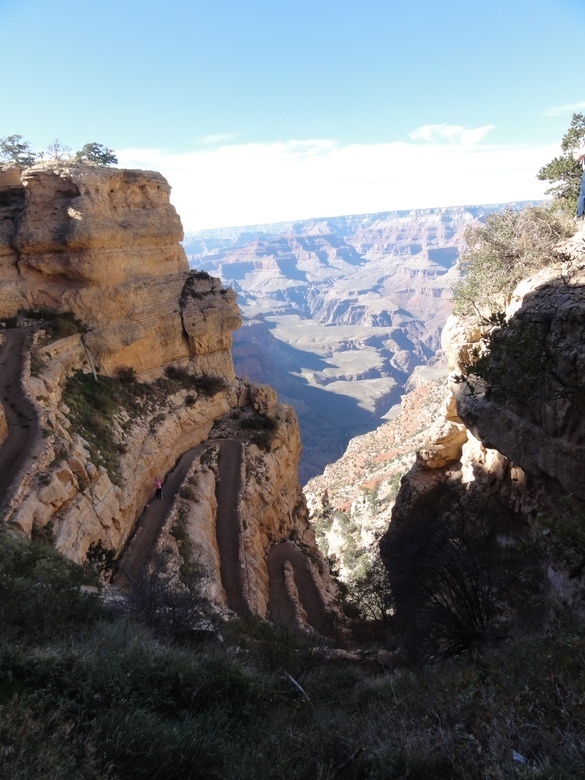 How far down Kaibab did you go? Surely not to the river. It was a bit warm also?